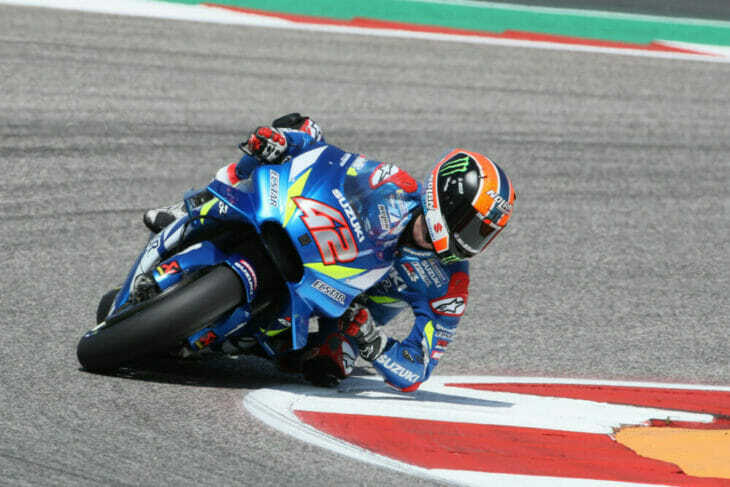 Alex Rins beat Valentino Rossi in a thrilling fight to claim his maiden MotoGP victory after runaway leader Marc Marquez crashed out, ending his record of 6 straight USA wins. As Marquez slowly started to slip away after a few laps, Rossi fell into the clutches of Crutchlow. But Rossi breathed a small sigh of relief when Crutchlow crashed out at Turn 11. And when it was going sweetly for Marquez, it all went wrong for the first time in Texas as he crashed out, ruining his chances of a 7th straight win in Texas, ending his 100% winning record in the USA. That left Rossi in the lead, chased by Suzuki’s Alex Rins. Rins eventually passed Rossi with 4 laps to go. 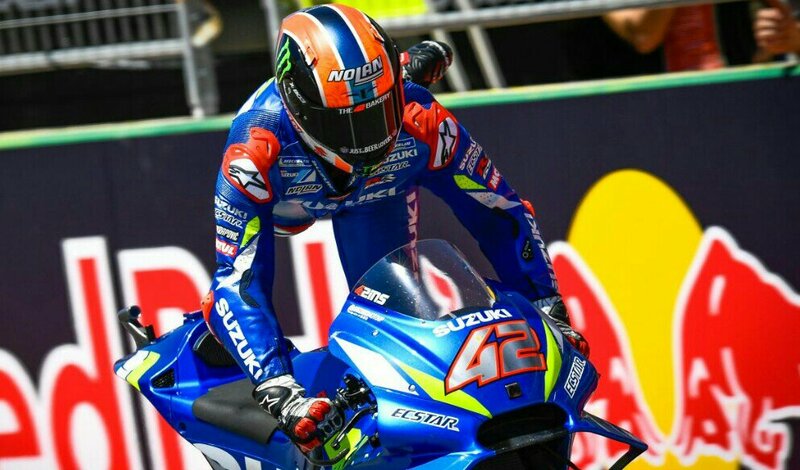 Even though Rossi remained right on his tail, Rins held him off to take the win, Suzuki’s first since Maverick Vinales’s own maiden MotoGP win in Silverstone 2016. Jack Miller took his second MotoGP podium for Pramac, ahead of Andrea Dovizioso, who charged from 13th on the grid thanks a brilliant first lap surge to finish 4th, reclaiming the world championship lead. Franco Morbidelli finished a strong race in 5th, ahead of Danilo Petrucci, who cannot seem to do any better than the top six when he was expected to win races in his first year for a much more competitive Ducati. Fabio Quartararo set a new personal best MotoGP result with 7th as the top rookie once more. Pol Espargaro finished 8th after starting 5th on the grid. Francesco Bagnaia and Takaaki Nakagami completed the top 10. 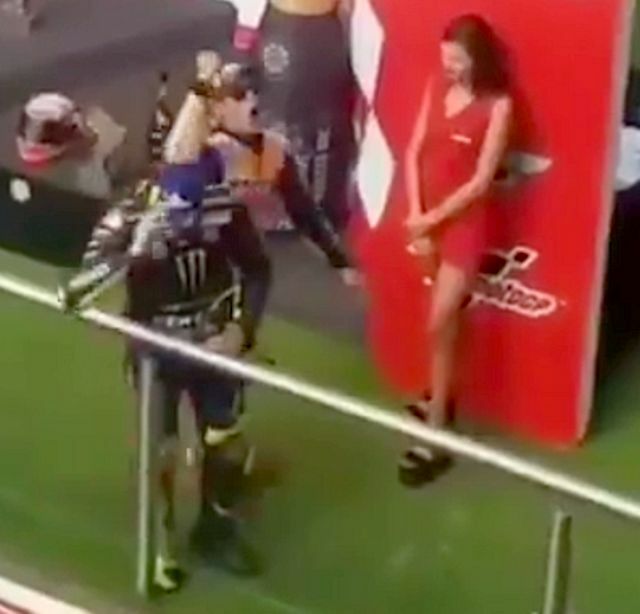 Maverick Vinales had another poor race for Yamaha, already hit with a ride-through penalty for allegedly jumping the start, recovering to take only 11th. Andrea Iannone finished 12th for Aprillia ahead of a disappointed Johann Zarco. Miguel Oliveira was 14th for Tech 3 whilst Tito Rabat scored his first points of the season. Joan Mir also had to take a ride-through for jumping the start and could only manage 17th. 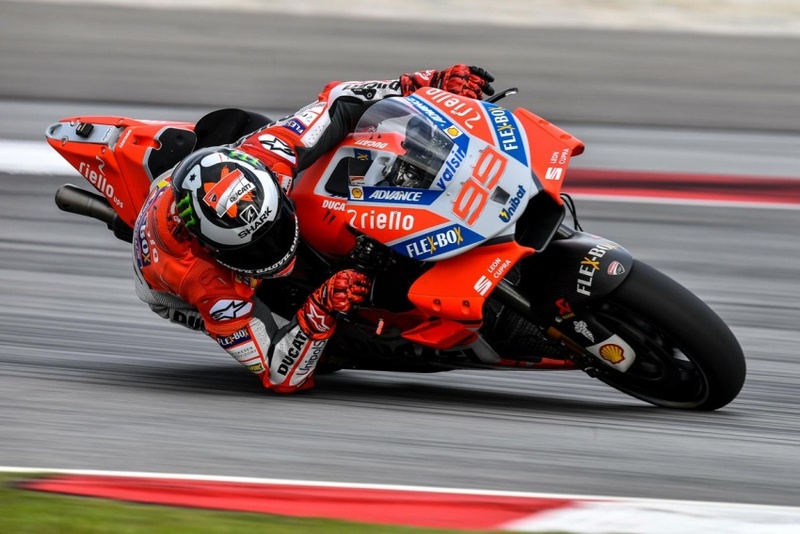 Courtesy of Marquez, Texas has been one of Honda’s top circuits, but 2019 turned to be a disaster with both Marquez and Jorge Lorenzo failing to finish. It has to be Valentino Rossi, because he really is an unbelievable rider, 23 years and he’s still got it! He came so close, and for once, the bike looked like it was working for him. It looks like the bike worked well all weekend from start to finish. I wondered if that was eventually going to happen to Marquez. The only thing on this Earth that can beat Marquez in Texas is Marquez himself, and he let it slip. Yamaha definitely have improved since Argentina and Qatar, but I still doubt they can win races on merit with Honda yet and win the championship, because Marquez was on course to win, so Rossi and Rins were a bit lucky. Once again, I think Vinales is losing it, because now he’s getting flattened by Rossi. If this carries on this year and he can’t even race with Rossi for victories or podiums, then he could lose his seat this year if Yamaha decide to replace him with someone else if he can’t deliver like Rossi always does. I was surprised to how Ducati struggled, but I guess the circuit didn’t just agree with them or Honda, Yamaha and Suzuki found better upgrades. Jerez, I’m betting Marquez or Dovizioso.